What a bar, what a bar. What A Bar. Thanks to the very minimal processing of the three ingredients in a ‘vintage’ melangeur, it really becomes a cookie-like bar with a completely different structure than ‘ordinary’ smooth chocolate, and with it a really different taste. Actually only partly milled, and so there is a lot left of both the structure of the cacao rib and the sugar crystals. Very grainy, crumbly, and very special! 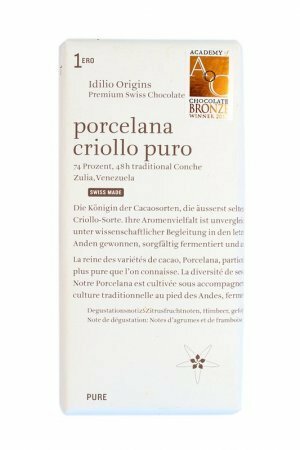 Made from Chuao cocoa from Venezuela (38%) together with milk and sugar. 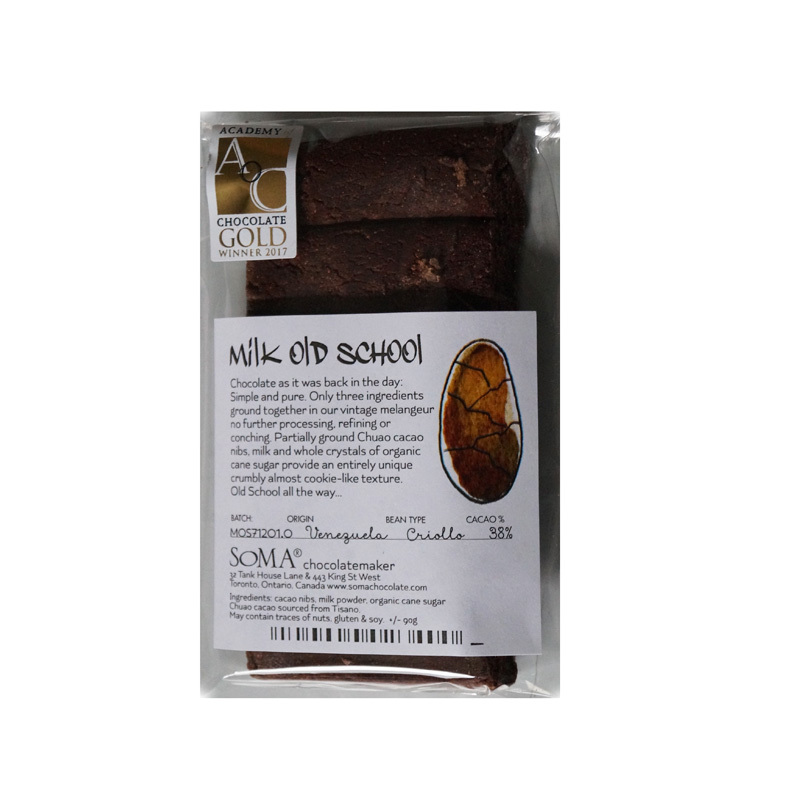 Ingredients: cocoa nibs, milk powder, cane sugar. 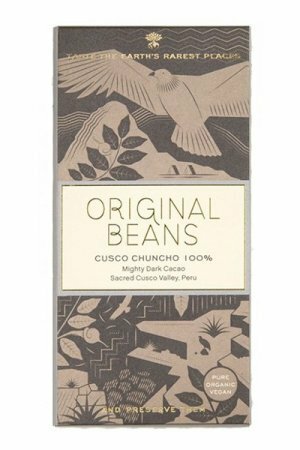 Chuao cocoa from Tissano. 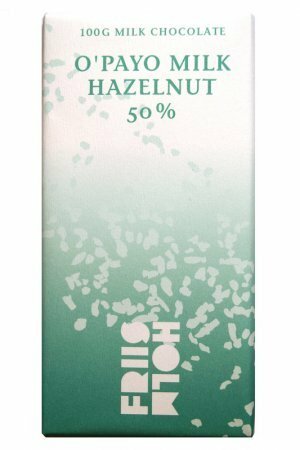 May contain traces of nuts, gluten and soy.